--The Washington Post and many others are reporting that, "President Trump will travel to Utah on Monday to lay out his plans to cut the size of Bears Ears and Grand Staircase-Escalante National Monuments, according to individuals briefed on the matter who spoke on the condition of anonymity because it had not been formally announced." To read more, click here. --A skier died in an avalanche near Alaska's Hatcher Pass last week. 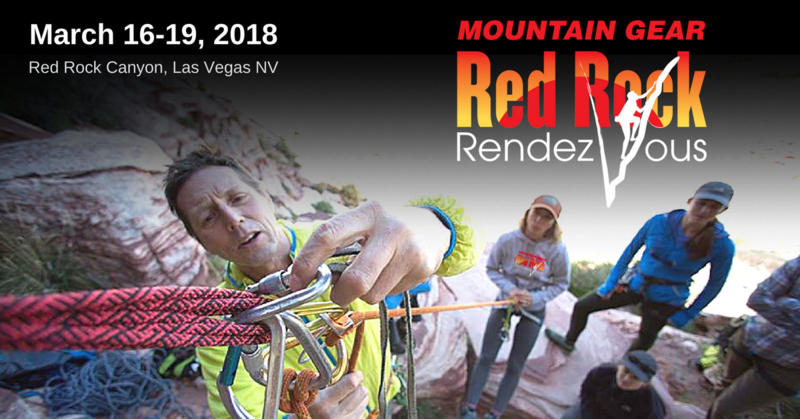 There is still limited information about this event. To read more, click here. --The Associated Press is reporting that, "Mexican authorities said Sunday that they had rescued nine climbers from Mexico’s tallest mountain in recent days, and one mountaineer from the United States had died." To read more, click here. --Outside recently published an incredibly interesting article about a conman named Jeff Caldwell, who posed as a thru-hiker. He would commonly become friends with a sympathetic person, sometimes appear to be a good potential suitor, and then he would scam them. Brendon Borrell writes, "as I learned about Caldwell’s exploits, I wondered if there was something about the outdoor community and our sympathy for such wanderers that may make us especially easy marks. When we see a man with a trail-worn Gore-Tex jacket and a decade-old Dana Designs backpack, we instinctively trust him. We can’t help but envy his authenticity, his freedom. He’s not just a weekend warrior—he’s living the life we want." To read this incredibly interesting article, click here. --The Denver Post is reporting that, "much of Utah is seeing balmy weather, and unseasonably warm temperatures have prompted the Snowbird ski resort to suspend skiing and related winter activities just days after opening the season." To read more, click here. 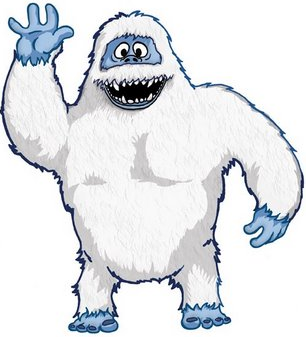 A recent photo of the Yeti from the Himalaya. --The Yeti is a Himalayan legend similar to the legend of Bigfoot in the United States and Canada. However, unlike the Bigfoot, there are a lot of Yeti relics that people in the region have. This includes hair and bone fragments. IFLScience is reporting on a team that took these Yeti samples to a lab to have them analyzed. "The DNA, however, suggests that this is unlikely the case. One of the samples was from a humble canine, while the other eight all came from one of three species of living bear still found meandering the high mountain passes and plateaus: the Asian black bear, the Himalayan brown bear, and the Tibetan brown bear. No ape, polar bear, or yeti to speak of." To read more, click here. --Nice job, Outside. We agree...! --Omega Pacific is recalling some carabiners. "This recall involves six models of Omega Pacific G-FIRST series aluminum carabiners. They are typically used to allow ropes and harnesses to be linked together. “Omega-17 UL Classified USA” is printed on the front and 'Meets NFPA 1983 17ED MBS kN 40 G' statement is located on the back side. 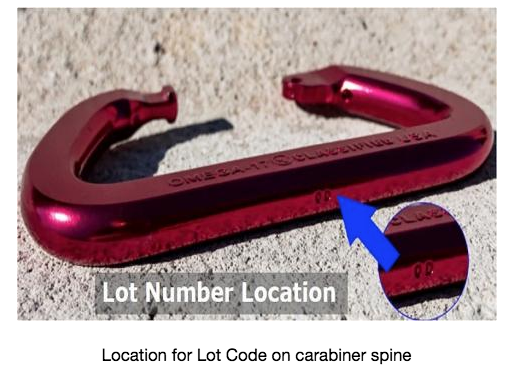 The 2-digit lot code 'OD' is embedded on the bottom side of the carabiner spine. They were sold individually in silver, black and red colors." To read more, click here.